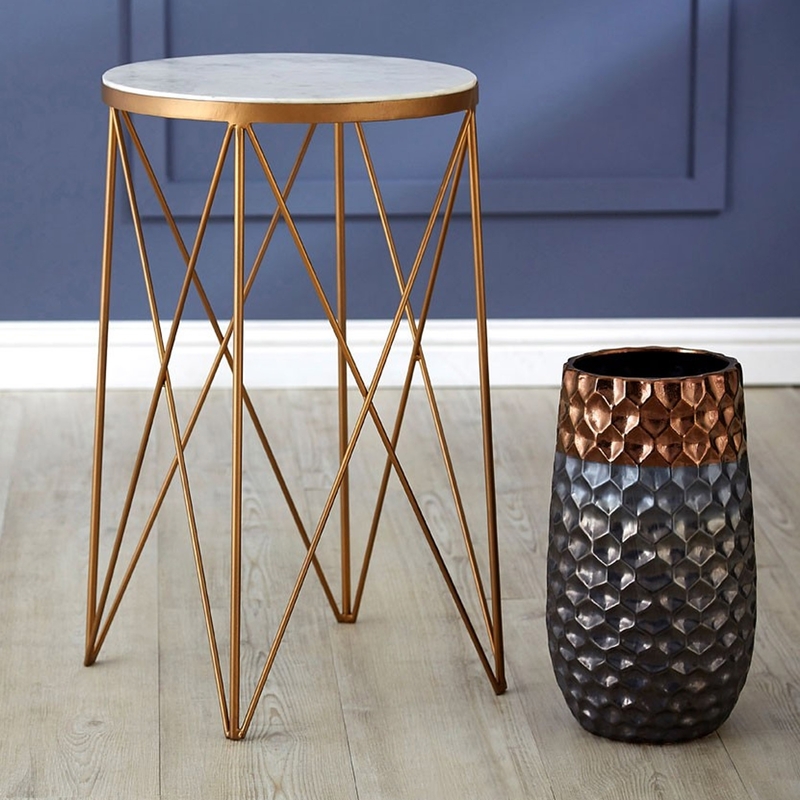 We are very proud to introduce this gorgeous Shalimar Round Side Table. It has a spectacular design which is very unique and modern. The stunning golden colour on the iron legs really ties this piece together, making it extremely eye-catching. The white marble on top adds to this style whilst also making look a lot more homely.